"I was completely healed of comminuted fracture of my humerus without a surgery!" 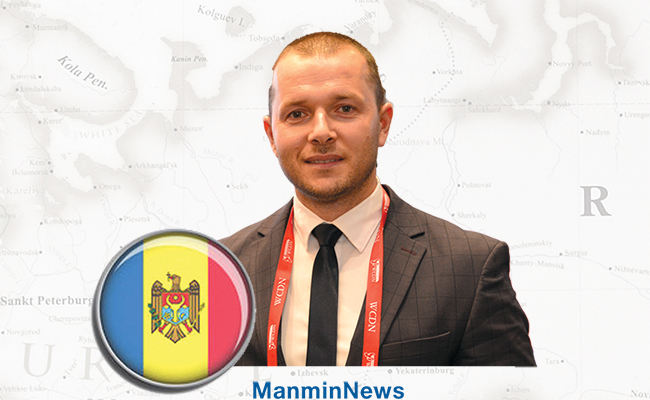 I learned about Manmin from Brother Alexandru Tabaranu in 2010. When I listened to Dr. Jaerock Lee's sermon, I was really happy and thankful to meet my true shepherd. It is because his sermons clearly explained the Word of God recorded in the Bible and his fervent love for souls reached my heart. My friends and I started to listen to more of his sermons and felt so touched. At first, we gathered at home and listened to his sermons and prayed. In October 2014, we rented a place, decorated it as a sanctuary, and have offered up worship services together. Now we have seventy members and we are leading happy believing lives as Manmin members. I longed to see Dr. Lee in person who allowed me to know and love Father God and the Lord even more through the word of life and powerful works. After seven years, my earnest longing was finally fulfilled. In August 2017, I visited South Korea to participate in Manmin Summer Retreat. I was selected as a player for the arm-wrestling matches in the Manmin Athletic Competition events, and I did practice games before the retreat. But during the practice, a cracking sound was heard from my right arm. I had a problem with the arm. I had my arm examined in the hospital, and the X-ray scan showed that my right humerus that is the long bone between my elbow joint and shoulder was fractured. The doctor said it should be operated on right away. But I believed that the almighty God would heal me through Dr. Lee's prayer. I did not have it operated on and received Dr. Lee's prayer in person. Back in Moldova, I had another X-ray scan for check-up. 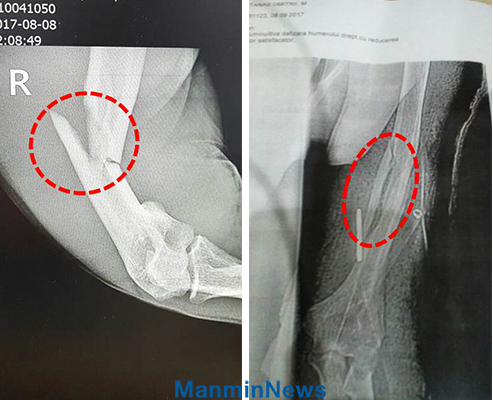 The doctor said the bone was in place, but the fracture was so serious that I would not be able to use my arm without the surgery. But I still believed that God would completely heal me since I had received Senior Pastor's prayer. A month later, I had it checked again. The doctor was surprised when he saw my X-ray scan. He said, "What treatment have you done for your arm? The fractured parts are being joined very well." I confidently said to him, "All I have done is I received Dr. Jaerock Lee's recorded prayer for the sick every day and completely trust God." Then, he said, "It is my very first time to see this kind of case in the last 35 years I've worked in this field. It seems like certain power that I am not aware of worked for you, indeed." I replied, "The power comes from God. For Him nothing is impossible, and He answers the prayer of the righteous." Senior Pastor has taught us that if we completely believe and trust God, He will answer our prayer. I give thanks to Senior Pastor who teaches us the truth so that we can meet the God of love. I give all thanks and glory to God who has been guiding my life. Humerus was completely fractured, and the fragments of the bone scattered. The fractured fragments are right in place and are joined together as callus is formed.